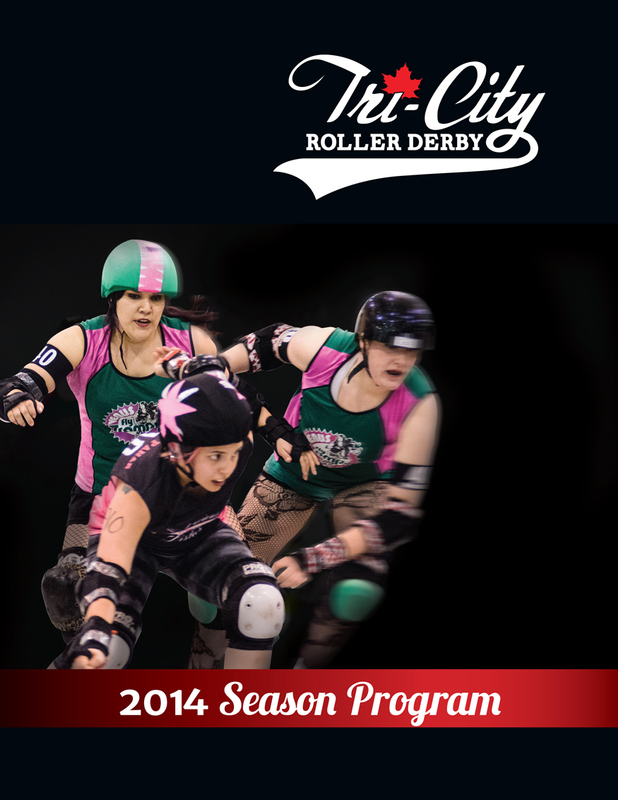 Tri-City Roller Derby (formerly Tri-City Roller Girls) is a local not-for-profit sports league. 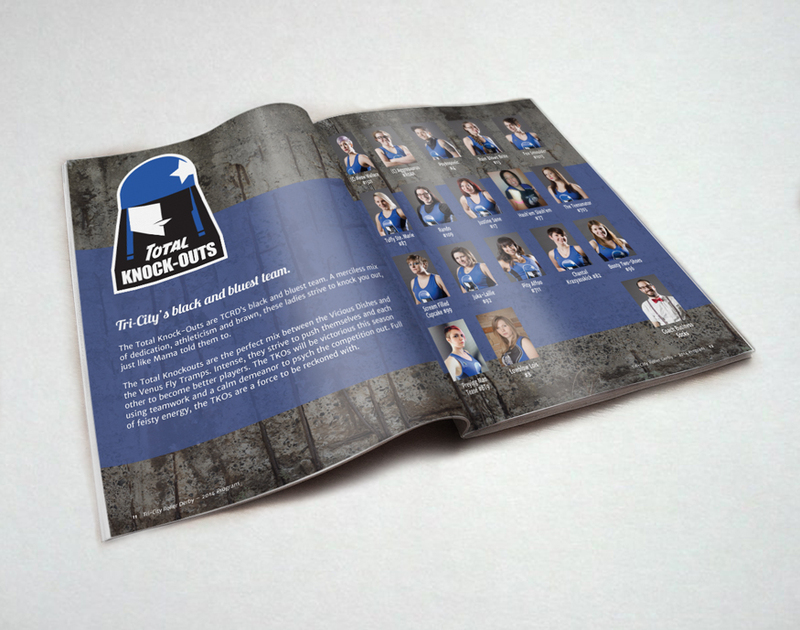 This is a spread from their season program, sold each season to fans as a collectible. 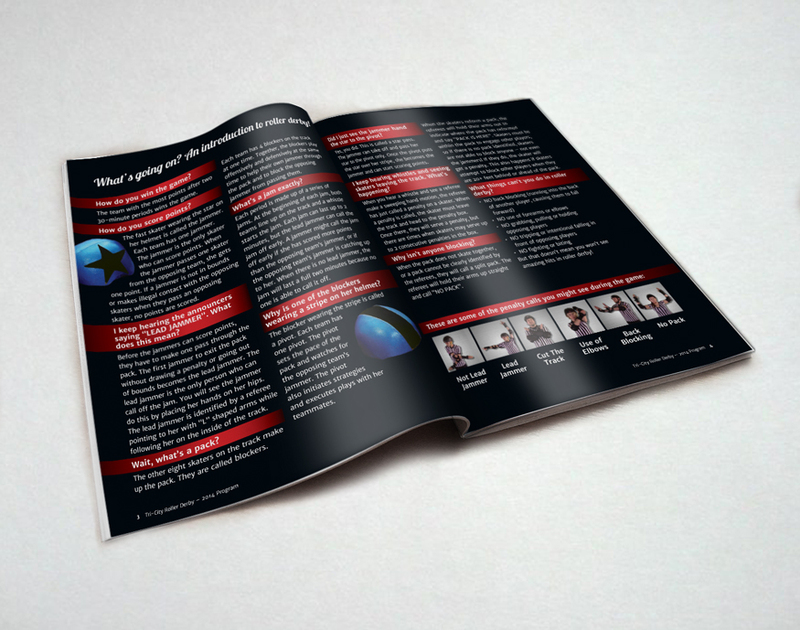 The program was designed to feature teams, facts about the league, advertisements, and a season schedule.